How Does Solstice East Help Teens with ADHD? Attention deficit hyperactivity disorder, or ADHD, is a disorder that causes âimpulsivity, hyperactivity, lack of attention, and a variety of other symptoms. Defining and treating ADHD in teenagers is different than in younger children. Young adults tend to feel more distracted and have negative impulsive behaviors. These behaviors lead to poor academic performance, distracted driving, emotional outbursts, and drug and alcohol abuse. 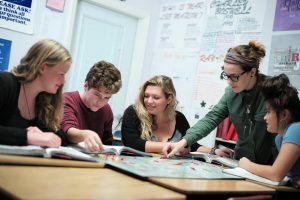 Solstice East uses a variety of holistic and therapeutic methods to help teenagers dealing with ADHD. We focus on treating the individual’s entire body and mind. We start by building trust and relationships with our patients. After a proper assessment, we move forward with natural therapies. Our therapeutic methods include: individual therapy, group therapy, family therapy, milieu therapy, and equine therapy. 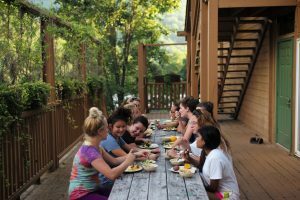 Solstice East focuses on a total mind and body workshop for teenagers with ADHD. We also implement support-based love and understanding from families and the teenâs parents. We work together in groups to make sure the individual needs of our teenagers are met. What are the Causes of Teenage ADHD? Like most disorders in teenagers, the exact causes of ADHD in adolescents are unidentified. However, ADHD is influenced by multiple genes, non-inherited factors and their interplay. There is no single cause of ADHD and exposure to a risk factor does not necessarily result in disorder. Genes can alter sensitivity to environmental risks, for example, environmental toxins or psychosocial adversity. Teenagers today face a multitude of environmental factors, which can negatively shape their daily lives. Peer rejection, family adversity, low socioeconomic status, or head injury as non-inherited factors in the development of teenage ADHD. Many teenagers who develop ADHD in their young adult lives as opposed to childhood ADHD do so because the stakes are more critical as a teenager grows older. No longer do the adolescent’s parents make important life decisions. Teenagers are expected to take on leadership roles, and transition into a functioning adult. However, at times, this transition can be too much for the teenager to handle. Because a teenager is now faced with new stresses in her life, this can activate ADHD. ADHD can trigger an emotional or physical response to pressure. Teenagers who develop ADHD in their young adult years tend to also deal with anxiety, depression, and feelings of suicide or death. 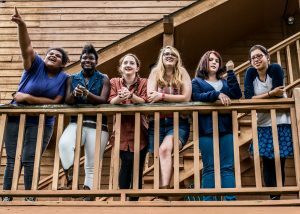 Solstice East, a residential program for teens struggling with ADHD, provides teens and their families with specialized therapeutic approaches to begin the healing process. Our experienced therapeutic staff are passionate about their work with students. Much of our therapeutic philosophy is based on a holistic approach – treating the entire individual (mind, body, and soul) rather than a ”problem area”. Many challenges stem from core issues affecting the entire individual. We seek to uncover and target those challenges in order to help students heal and find an inner peace. 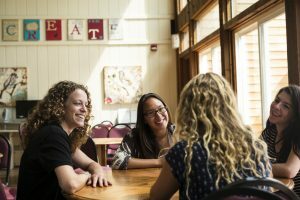 Another aspect of our therapeutic programming that makes us unique from other residential programs that help treat ADHD is our focus on building trusting relationships. Many of the students we help have found that their relationships with family members and peers have deteriorated over the years due to ADHD. A central part of our philosophy is “people before programs”. We do this by creating a positive community-focused campus and helping students rebuild their relationships with family members. Treatment for teenagers with ADHD starts with building trust and relationships. The teenager must have a build up of positive self-esteem in order to comprehend therapy options. Treatment starts with parents and loved ones understanding and providing ample support to their teenager dealing with ADHD. 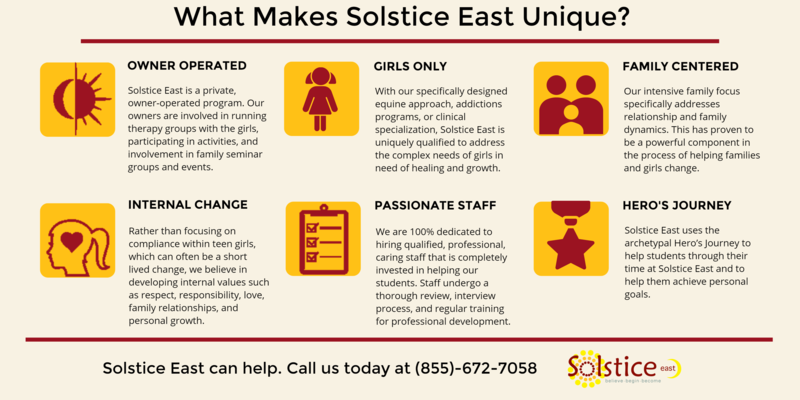 Once the teenager has an established sense of self, Solstice East then focuses on a holistic and natural healing approach when it comes to behavior disorders. We offer a combination of group-based therapies, as well as psychiatric help. Our main goal is to make the teenager feel accepted and able to take on life’s many challenges. Our milieu therapy option creates real-world instances for the teenager to react upon. When she is in the moment at Solstice East, she will gain the tools to go forward with further treatment at home and in the real world. We also take an academic approach and emphasize learning as a tool for therapy. Family centered approach: The most important relationship in your daughter’s life is the one she has with her family. Solstice East has an intensive family therapy focus which includes weekly family therapy sessions, quarterly family seminars, and multi-family groups. Lasting change can only occur if the entire family is on board in the therapeutic process.